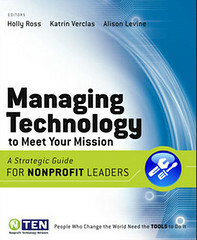 NTEN and Jossey-Bass/Wiley is hosting the "Online NTC," a 2-day online conference based on the book, Managing Technology to Meet Your Mission. 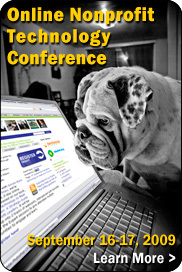 The online conference is for the "Tech Responsible" individual within any nonprofit. It is a learning event to help you better understand how to manage technology. With 2 tracks and experts presenting on topics critical to your organization, you are sure to come away better able to succeed with technology. I'm honored to have a chapter in the book about ROI and you can hear geek out about it here. 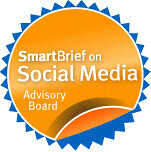 I'll be presenting about ROI as it pertains to investing in technology infrastructure or systems, not just social media. I did a panel presentation at the NTC conference in April on the chapter as well. Holly has been doing podcasts with presenters for the past few weeks. No hotel or travel costs, time on airplanes, etc. Very minimal environmental impact, just electricity to run some computers! Price: $350 for non-NTEN members. Special Beth’s Blog Offer, $262.50: Use the code “BETH” for a 25% discount!